Putting the tools in place that empower students with disabilities is necessary to ensure every single student at your university is set up for success. But, as we’ve noted in a previous blog, only 17 percent of college students with disabilities make use of classroom learning accommodations. So, the onus is on universities to ensure accessible solutions are fully integrated into classrooms. The tools for creating a more accessible university are readily available for educators and administrators, and they’re easier to implement than you may think. Video solutions are one of the most crucial tools for creating equitable classroom environments. Audio descriptions. These make videos and other visual media more accessible for people who are blind or visually impaired by describing what’s happening on the screen. Automatic captioning. This feature uses speech-to-text technology to create closed captions for individuals who are deaf or have difficulty hearing a video’s audio content. In addition to automatic captioning, ensure your closed captioning features are editable, can be turned “on” by default and are available to viewers when videos are embedded in your LMS, on HTML pages, in blogs and on other CMS portals. Interactive transcripts. These allow students to follow along with videos at their own pace by reading a transcript as the video plays. To return to any point in a video, a viewer can simply click a word in the transcript to play the video from that point. Keyboard shortcuts. Shortcuts enable viewers to have an accessible university video experience without ever using a mouse. With just a few keystrokes, a viewer can tab to a video player on the page and use provided shortcuts to begin playback. Screen reader support. This feature makes all text and images on a web page accessible for students who are visually impaired or are unable to navigate with a mouse by reading text and describing images displayed on the screen. 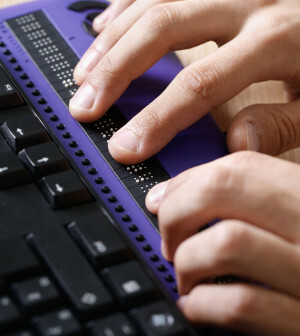 Tools to address accessibility needs are constantly evolving, and to ensure a fully accessible university, your institution’s resources and vendors should be able to evolve as well. Ensemble Video is committed to constantly improving and adding accessibility solutions based on the needs of the education space. Our video platform was developed within a university, with the specific needs of educators in mind, so our team is nimble and can easily create new features when necessary. 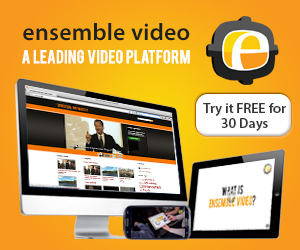 In fact, with our new version 4.8, we’ve made the Ensemble Video platform more accessible than ever. You can visit this page to learn more about how Ensemble makes video content for students of all abilities, and when you’re ready to get started working with our team, you can contact us or schedule a demo.